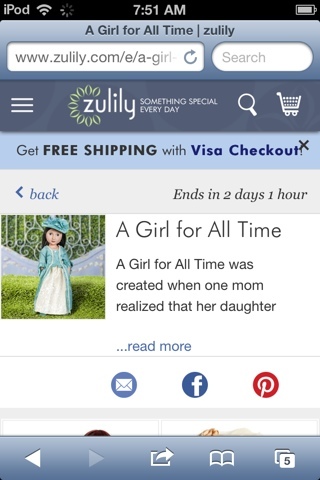 A Girl For All Time has returned to Zulily. The sale which lasts another two days features the first four dolls (sorry no Sam) for $89.99 each and includes several outfits. Will you be purchasing any new A Girl For All Time items?